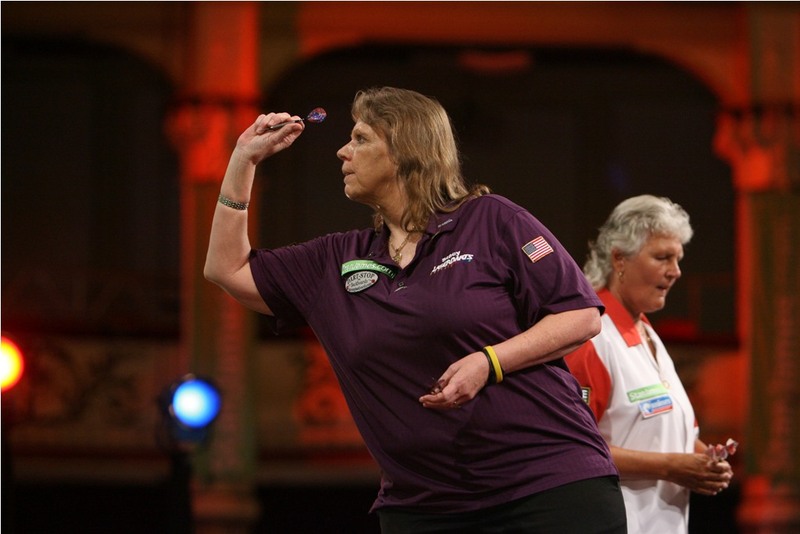 The Unicorn Women's World Championship is a PDC tournament played for the first time in 2010. The PDC lanced the tournament after Barry Hearn's takeover offer to the BDO was turned down and it was called into question that Hearn would support Youth and Ladies the same as the BDO does. The PDC Unicorn Women's World Championship is played in three phases. And Anastasia Dobromyslova, who was seeded as the only female PDC member. The 32 participants play in several rounds through to two finalists. This years phase 2 takes place during a Players Championships weekend in Barnsley in the Metrodome. The final takes place on 24. July after the two semi-finals of the World Matchplay and is televised. Beside a price money of 10 000 pound for the winner and 5 000 pound for the second both will win a place in the Grand Slam of Darts and a Pro Tour Card. To play the qualifiers and the tournament is open for all female players and no contract with the PDC has to be signed. Should the Grand Slam place be accepted, a contract only relating the tournament has to be signed. And of course accepting the Pro Tour Card means to sign a contract with the PDC. The format is Best of 7 Legs throughout, only the Final will be Best of 11 Legs.